Need helping finding a name for your mom blog? Or even finding a friend? 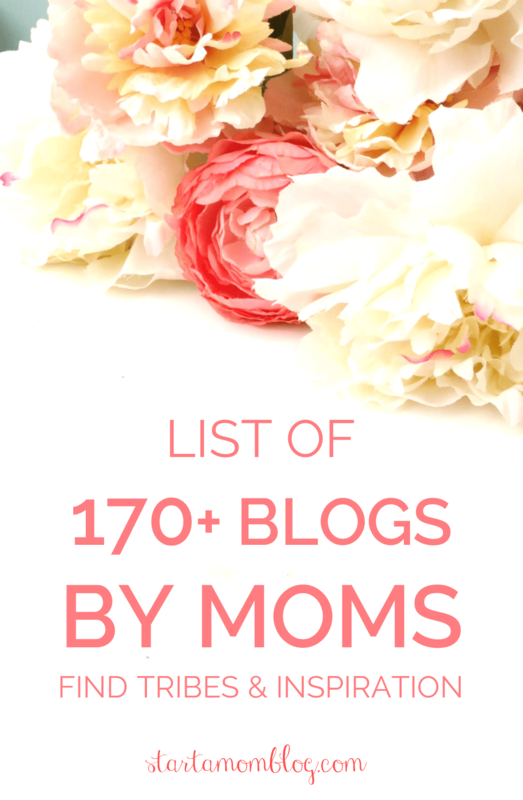 Check out the list below and get inspiration from over 100+ blogs by moms! From time management to lifestyle to traveling. Enjoy following and exploring the great blogs, and then start your own. Nervous to start a blog? Here are tips and tricks for time management as a mom using common Post It notes! And here are resources that will help you grow your blog quickly. Need more motivation, you can make money with your blog – all while you’re home with your kids! How to choose your blog niche – that makes money! Mama Hippie Mama Hippie is a blog focusing on natural parenting and green living. Millennial Momee A blog for moms and birth professionals to share their stories. Snowstorm A happy lifestyle blog about marriage, babies, and everything in between. Spoiled Yogi I help pregnant and new mamas find more balance in their life through yoga, mindfulness, self-care, inspiration, community, and humor. Arabah Joy Arabah, the blogger behind Arabah Joy, run a successful Christian blog. She makes a full time income sharing advice to grow your spiritual life. Arabah is a great example that you can blog about your truest passion and still be successful. A Little Dash of Love I started blogging 4ish years ago after I was overdosed by my nurse while in the hospital. It caused a brain injury and heart attack. I started blogging as a form of a recovery journal. Now, 5 years after that happened, I blog about lots of things – faith, friends and fun. I do focus on disabilities at times – my son is intellectually disabled and also has bipolar and autism. I also blog about life if raising teenagers too! Adrian’s Crazy Life I am passionate about helping Moms. I have parenting advice for teens and older kids, finance tips, and great organizing post. I’m also starting a Pinterest hacks series. Ashley Behnke Design A sweet space to share my daily life as a mom and a resource to learn about surface design. Blush, Belly and Babies A single mother writing because she loves to write. I don’t find motherhood easy but I endeavour to become better at it everyday. Boldly Bravely You My blog is a place to share my journey as a mother, wife, and woman. Extra-Ordinary Ordinary life with an Extra chromosome – Down’s Syndrome, family life and me. Fab Working Mom Life Fab Working Mom Life is a family lifestyle blog where I share my journey through life as I figure out this whole baby and parenting thing while working full time and still maintaining my hobbies and identity (wishful thinking?). I write about being a first time working mom in order to help myself and other working moms in our journey to find balance between our family, responsibilities, and hobbies. I do this because we moms need a support network to thrive both at home and at work. Five Kids, a Dog & a Blog My blog is about everything! I have five kids so they are the focus of my blog as well as other items such as furniture flips, recipies, link parties and crafts. freeborboleta freeborboleta is a design + lifestyle blog focusing on helping fellow bloggers succeed and sharing the little things in life that me swoon. Gigglebox Tells it Like it is A blog about fun things to do with the kids during the day, family activities, Holiday ideas, recipes, restaurant reviews, staying with-in a $50 weekly grocery budget, DIY home improvements, and basically anything that goes along with family and mommyhood. Heather Dawwb Just a glimpse into my motherhood journey. My blog feautures beauty, recipes, housekeeping, and baby related content! Home Maid Simple Home, Family and Lifestyle Blog. At Home Maid Simple I believe HOME is in the heart. Kori at Home I seek to support and encourage moms in all stages of life. Life is Sweeter by Design A blog about recapturing the joy in life. Swing by for posts for moms of all ages! Lindsey Andrews Writer I blog about how to live a legacy of love, by exploring all areas of life and motherhood. Travel, writing, grief and the joys and the pitfalls of motherhood. Midwest Buds Join in the fun as this city-girl discovers the ins & outs of being a farm wife in Smalltown, Kansas. Pragma Mamma A mother and lover of all things practical, I am a 30-something, former educator, world traveler and self-proclaimed pragmatist trying to navigate this journey called life. My blog covers news and views that are relevant and important to busy families on the go. Featuring simple and healthy recipes, family friendly product reviews, original photography and hot parenting topics, my goal is to inform and hopefully inspire. I left my busy Bay Street, Toronto job to get back to my writing roots and currently work as a part-time tutor/mentor, aspiring blogger and full-time wife and mother of two fabulous daughters. Join me as I pursue my PhD in parenting and all of the chaos that comes with it! SassnSpunk A blog about staying healthy and active during life with two feisty kids. Simply Stoked Simply Stoked is a place where I share the ups and downs of being a first-time mother and parent. I share my experiences in hopes to relate to, encourage and ultimately inspire other parents who may be going through what I am, whether it a win or a lose. I don’t believe I’m better at life but I do feel like I have a thing or two to share, in hopes that it might make this chaotic thing we call life with children a little easier. Stellar Mama Stellar Mama is a motherhood & lifestyle blog. I’m sharing my journey, my passion, my life. I get to tell my story and interact with a great community of mamas. The Guilt Free Family On the Guilt Free Family you will find encouragement and tips on Discovering your purpose, uncovering your core values, and strengthening your relationships. The Quiet Grove The Ultimate Family Lifestyle Blog. Written for moms by a mom who knows. Here you will find articles (on Parenting, Health, Education, Homemaking, Updates on My life, Blogging, Travel, Christianity, Personal improvement etc) DIY tutorials, Activities, Events, Recipes, Printables and more. Wondermom Wannabe I help mom be superheroes every day – no super powers required! Just tips and tricks to help them do more in less time so they can spend their time enjoying happy, healthy families. Wrong Century Write Life The mad ramblings of a 30 something, should’ve been journo , chef, Beaver scout leader and mummy. Just trying to find a voice in this crazy world. Covering fashion, beauty, reviews, days out and little snipits of my life. EveryMomDay I am a NY girl living in an AZ world with my husband and 4 daughters. In my “spare time” I enjoy blogging about EveryMomDay things like Coffee, Crayons & Chardonnay! Love My Big Happy Family I am actually a GRANDmom who blogs. I have 5 grandkids (so far) and I currently teach & provide childcare, so I have many little ones! My blog is a lifestyle blog about families, kids, crafts, the home, food, gardening, teaching, relationships, etc! Pop Goes Perfection We share stories about our family of 7, our faith, and our addiction to subscription boxes! Upon a Lovely Little Life Just a blog talking honestly about my joys and struggles of motherhood, womanhood and being a wife. And Hattie Makes Three And Hattie Makes Three is a blog about family/fun/fashion/fabulousness mixed with a side of sassy toddler. Follow our adventures, loves and dreams. The Hype On Caffeine My blog is all about healthy, beauty tips and tricks. There is a section for some tutorial and DIY projects. I will expand the blog post into a more healthy eating habit and record my weight loss plan after the pregnancy. There will be a section for fashion as well. The possibility is endless. Eat Well, Explore Often We are first time parents trying to figure out this parenthood thing and our love for food and travel. Little Mom That Could Working mom, wife and full time student trying to balance it all. I blog about food, family and life challenges. I also tie in my culturea dn upbringing to give my Samoan readers a taste of home. One Thousand Oaks One Thousand Oak is a blog dedicated to all things home. I am happiest when I am creating something, even more so if I am drinking coffee as well. Here you will find inspiration related to interior decor, recipes, organizing, DIY, seasonal projects, favorite finds, and real life living. AppleGreen Cottage Cute kids crafts. Easy DIY. Free sewing tutorials. Play Dough & Popsicles My preschooler and I share a love for all things playing and making. I share what we do in hopes to be an inspiration for other parents who do too. A Little of This and That Mama It is exactly as the title says. A little bit of this that that. Parenting tips and struggles, recipes, DIY ideas, and some information on premature babies. All My Good Things As a mom to six kids, a wife to a superman, and an avid cook you can find me sharing real life parenting stories, marriage advice, and lots of yummy, family-friendly recipes at All My Good Things. Every day may not be perfect, but you can always find lots of Good Things in your day! Babes + Beauty I am a SAHM to 3 babes 4 and under! I blog about our life, things we love and pretty much anything on my heart! Besties and Babies Lifestyle mommy blog of two best friends sharing their new experiences of being mothers and having their own families and goals. Fancy Shanty Fancy Shanty is a lifestyle blog inspired by lifeâ€™s everyday moments! Featuring a positive energy through the site, site owner Stacy Molter shares her experiences living in the entertainment industry, homeschooling her four children, raising multiples, supporting her two children living with multiple food allergies, and helping her children with special needs thrive. Fancy Shanty began in 2008 after the birth of Stacyâ€™s twin boys. As her family has grown, Fancy Shanty has flourished into a family-fun blog covering a variety of topics. Just Take Shape A blog about overcoming Hashimoto’s Disease through fitness, nutrition, faith and homesteading. Kaycee Lou Where motherhood meets adventures. I blog about my family, kids, life and any adventures we go on. Love, Peace, and Tiny Feet Love, Peace, and Tiny Feet is a personal blog accounting the ideal, ordeal and the real deal experiences of parenting, maintaining a healthy lifestyle, and finding love and peace in imperfection. Make Me Up Mandy Make Me Up Mandy is a blog for modern moms who believes in looking after themselves and pursuing their dreams, carving out a career for themselves while being a mom. Today’s modern mom believes that it is possible to still chase your dreams and have a life, even after having kids. Motherhood by Morgan Tips and tricks I’ve learned from experts, other moms, and my own experience to help moms thrive and not just survive motherhood. Shopaholic & a Baby My blog is a lifestyle blog. I share reviews on baby/toddler products, recipes and my experiences as a mama. Singing Through the Rain Encouragement for Marriage, Motherhood, and Military Life. I also write about special needs parenting. The Life of Jennifer Dawn Lifestyle blog featuring crafts, recipes, activities for kids, DIY, and more! themannerlymom.com At The Mannerly Mom, I write about manners, social confidence, and graceful living from the perspective of a busy mom & wife- topics that Iâ€™m passionate about! Chubby Bunny Creations My blog is a place to find Craft and DIY projects, Everyday tips and more. If you’re confused, here is help if you don’t know what a Lifestyle blog is. Amy Smalarz My Blog consists of observations and my thoughts of how we can bring more intention into each and every day. And not only that but ways to turn our intentions into Actions! Autism, a DIVA & Dance An enthusiastic travel and lifestyle blogger, Virtual Assistant and stay at home mom to two home schooled kids. My youngest has Autism and my oldest wants to be a superstar. So needless to say, our life is never boring! My husband and I have been married since May 2000 and believe in the vow to death do us part. We instill love of family and God in our children. And yes, we are a multi-racial family. Blue Eyed Babies Lifestyle blog focusing on quick recipes for busy families, simple DIY recipes to reduce chemicals in your home, and motherhood tips and ideas. Choose You Love Support for women who are mothers and are looking to create a life you love. DIY Swank DIY blog that shares home decor and lots of free printables! dorothy nada Life as a military wife and mama to three, with the odd book review and advice column thrown in! Exploring Shawna My blog separated into two sections. Travel – where I share the adventures I experience with my kids. Lifestyle – where I share everything else. Opinions and Review just to name a few things. Ideas By Dalba I blog about anything I feel is worth sharing and interesting. This includes my personal experiences, product reviews and DIYs. Luxe With Kids I am Candace, lucky mama of two boys and trend spotter of all things fashion, food, beauty, fitness, home and travel. I try it all and if I love it, I’ll let you know. Our family philosophy is that you can live the good life with your kids in tow, you just have to find the right places, brands, and products to help you do so. Natasha VIP Inspiring single moms to live the life they want. On Your Own, But Never Alone. A lightly humored and very realistic blog life as a single mom and entrepreneur. Press Life Beauty A place where women can find a place that they can relate – topics include: Blogging, Beauty, and Life. Robin LaButti Fun lifestyle blog with recipes, cocktails, my never ending remodel and fun places to go shopping! Say Not Sweet Anne Everything DIY and Lifestyle. Crafts, Printables, Advice and more! So Not Together We talk about all the things you hide from your social media feed. We know you. We get you! We ARE you! We’re opening life’s junk drawer and talking all about it. The Friend of the Bride Everything from “Will You?” to “I do!” Wedding blog featuring advice, planning, decor, trends, and DIY. 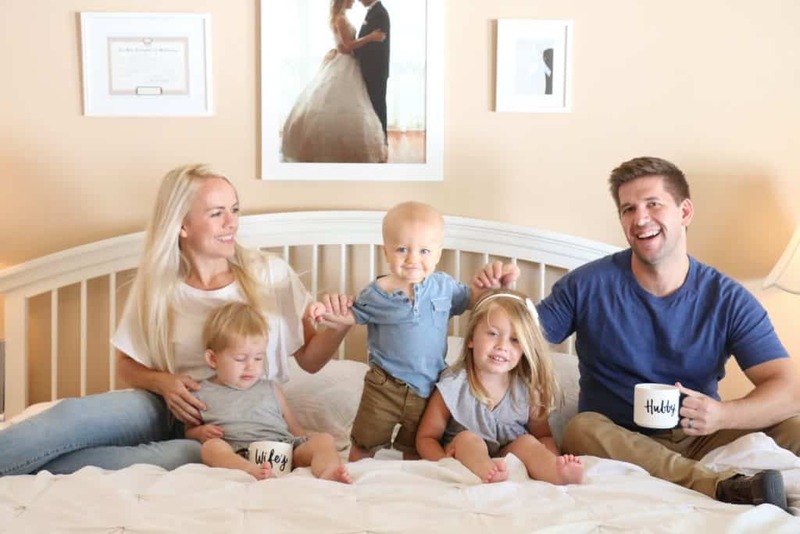 The Outnumbered Nest The Outnumbered Nest is all about finding positivity and purpose through faith, marriage, and parenting. Mommyhood ABC’s Mommyhood ABC’s is all about mommyhood and being a Mompreneur. Juggling life, family and work all while enjoying my family & kids! And What A Mom! parenting hacks, healthy lifestyle tips, and fitness tools from one mom who doesn’t mind getting her hands (and hair, and face, and everything else) dirty! Better Than Newlyweds I started BetterThanNewlyweds.com for those of us who simply want a better marriage than when we were newlyweds. Those of us who donâ€™t want the Honeymoon to end! I am passionate about marriage. I believe that God wants us to be passionate about our own marriages. I also believe that we should be passionate about lifting up and encouraging other married couples as well. Denise Renae I strive to be real with women in marriage and motherhood. F6 with Sara Nash Providing parents and families with useful and sometimes humorous insights about life regarding faith, family, fashion, fitness, food and fun. Hence F6 🙂 I want to encourage all people to be the best they can be and strive to reach their full potential. Informative Mommy Providing information to other families about all your family topics. Mommy at Last My blog Mommy at Last is to give others my amazing testimomy from God. Help others that may be struggling with what I did. And be in the life of a mother after infertility. Advice and tips that I have so far learned being a first time mom. Mommy’s Bundle Parenting resource for pregnancy, new moms and moms of babies and toddlers. Nerdy Mamma A fun collection of good food, fun crafts and easy momming. Nifty Betty As a mom, I’ve chosen to embrace the beautiful mess of motherhood, find the humor in it and find my bravery. With my journey, I hope to make others laugh and get inspired. Nurture Her Nature We are two single mom bloggers with three spunky girls between us. We are a community for single moms sharing our own stories, crafts, and recipes as well as highlighting the awesome life that is single motherhood. Oh, Mandelynn… Stories about my “normal” family. Outreach to other mom’s. Paradise Praises Paradise Praises offers biblical encouragement to women to live exceptionally and praise intentionally. Partys2Playdates Crazy mommy sharing stories of the mayhem that happens with my boys. Tips and advice, all learned by trial and error. Practical Mommy Mom hacks. Saving money. Practical advice. Pris Blossom I run a feminist lifestyle blog with a focus on my main freelance writing niches: travel, parenting, and pop culture. Stress Free Mommies My blog is about helping moms have a less stressful mom life. I provide parenting and pregnancy tips along with easy family recipes! The Buccio Clan An authentic view of life as a wife & mama and how it’s crazy + beautiful. Life’s a little crazy, a little messy and a little goofy. The Mrs. Z Files I write about my experiences as a stay at home mom. You will find anything from DIY projects to tales of our latest adventures. The Rural Sisterhood Support, encouragement and community for rural women in agriculture! The Stay-at-Home Life An honest look inside the crazy, creative, never-dull life of a Southern country stay-at-home mom of a baby and a special-needs toddler. The Violet Moon The Violet Moon is a blog all about less than perfect parenting, messy travel, and lifestyle you can actually relate to. Come join the conversation! This Outnumbered Mama This Outnumbered Mama is a mom blog that covers homeschooling, parenting, disability, and working from home. Tidbits of Experience We are a family blog that shares our life experiences in hopes that our readers can make the most of theirs. Happy Science Mom Parenting toolkit for raising happy, balanced children. Mamabearconsulting I am a triplet mom writing about and sharing my homeschooling experience. My Mommy Voyage My blog is dedicated to my vivid experiences as a mom. Its all things that comprehend a mom’s life. Raising Jay & Abel I love empowering and encouraging mothers of all ages. I have built a community of mothers who are reminded on a daily basis of how unique and special they are. As a mother myself, I see no point of competition amongst one another, when we are already battling with so many things already. My social space provides an insight on the realness and rawness of motherhood. I also provide reviews of amazing products that I know they would enjoy. I believe my voice is one with influence and power. Sunshine Daisies. Messy Babies. A mom and beauty blog. Because every mom deserves to feel pretty! I do beauty reviews and talk about my experiences as a new mom. The Triplet Farm A parenting and lifestyle blog for all. The Unprepared Mommy A blog for first time moms who feel like the crazy stuff their babies do couldn’t possibly be normal. Three Makes A Family Telling my tale od becoming a mom! Blogging about pregnancy, parenting, and life with a new baby. Free Money Making Apps I teach how to Extreme Coupon, how to save & make money with apps, Kmart double coupon deals, and other ways to save money. Mama’s Sweet Home Team Intentional family living, faith, frugality and fun. The Tightwad Teacher I am your normal, not-so-crafty, full-time working mother trying to juggle all the demands of life. On my blog, you can expect to find all kinds of tips, advice, and reviews about anything from teaching resources to household budgets, meal planning, and raising children. My blog is your one stop shop for all things parenting, budgeting and teaching! WhatMommyDoes WhatMommyDoes is an upbeat blog where moms can come to find financial advice, ideas for family fun, fitness tips and more. Como Blog Como Blog exists to help bloggers blog well, connect often and reach the success they dream of. Mary Fernandez Strategies for growing your online presence with standout content. Meera Kothand I help busy solopreneurs and bloggers find focus, build authority & stand out online. I blog about blogging & digital marketing strategy. Busy Blogging mom For moms who are bloggers and everything homemaking/parenting/kids. Mama Bear Communications Helping entrepreneurs and bloggers with marketing tips + advice on how to build your brand on social media. Mom Blog Mentor Teaching moms how to blog from scratch with a Mom Blogging 101 e-course. Momma Without a Clue Momma Without a Clue is a parenting blog focused on giving advice, product reviews, and tips to make life easier – because every momma can be clueless at some point. Need more help on managing your time as a mom? Simplicity Gal At Simplicity Gal I’ve trained in proven Mindset coaching techniques and Organizational strategies, which I love sharing to Motivate, Inspire & Empower Entrepreneurial-minded mothers. Changing their current fixed mindset to one where they can achieve their goals, radiate confidence & live the life their dream of. Single Mama Blueprints I help single moms organize their time and money so they can have more fun with their kids! Books Faith Life Nearly all time-management blogs address working professionals in an office setting. I believe time-management skills enrich stay-at-home mothers even more. Steward your resources, steward your time, and enjoy great reads. Six Christies Mom life blog, chock full of parenting stories, humor, recipes, reviews, and Disney tips and tricks. Our New England Home Our families journey towards a simple life and homesteading while working full time. The Creative Recycler I offer baby steps to a greener, more frugal lifestyle including DIYs, Recipes, and Reviews. Practical Inspirations A practical guide to real world solutions. Still Mommy Certified Birth Doula and SAHM blogging about parenting, marriage, and natural living. What did you call your blog? Leave a comment below and let me know what the name of your blog is and how you came up with it! Thank you for checking out the amazing list of mom bloggers above! I hope this list and the posts above helped you find the perfect name for your mom blog. If you have any questions, leave a comment below and I’ll get back to you! Thank you for creating this guide! I can’t wait to see what other blogging moms are doing! Thank you Stacey! I enjoy going through all the blogs too! Wow! This is amazing. There really isn’t any excuse to not find SOMETHING to connect with : ) Thanks for all your work. Thank you Christina! That is my goal, for all mommy bloggers to find a friend, a tribe or community! Great list!! I’m happy to be a part of it! Thank you Kathleen, I’m happy to have you! Wow Suzi, You did an excellent job with this!! This list is amazing! Thanks for including me! Thank you! I’m honored to feature you momma! 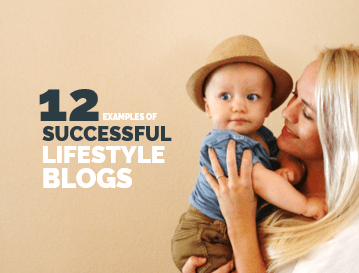 This is great list with amazing bloggers! Thank you for including me in this list! I’m happy to have you Lisa! Thanks for including me! What a great list of resources! I’m happy to be included. Thanks so much. Love your site and posts. This is a fantastic list Suzi! I saw several of my favorites on there and I can’t wait to discover some new ones. How awesome is this list?! Thank you so much for including me on it! I shared it on my FB page! It’s a great resource of mom bloggers. Great list Suzi – thanks of adding me to this list. I’m looking forward to discovering some great new blogs too! Love this list! Can’t wait to connect with more great blogs. Wow Suzi! that must have taken a lot of effort to put up this list. Hats off. I’m really looking forward to finding new ideas to write about and you have been a great help..thanks. Great list! It’s so neat to see the wide diversity in mom blogs! Hi Suzi!  I have been following your blog and read your post where you suggested doing a roundup post of bloggers to follow – I think you said you offered to feature bloggers in exchange for email sign ups when you first started your blog. Let me just take a moment to say THANK YOU!! I put my request out there on some of my Facebook groups and the response has blown me away! I did not straight out ask for people to sign up but I have provided my link to my site and encouraged them to take a look to make sure my blog is a good fit for theirs. I have gained a couple of subscribers, and I am subscribing to everyone who has responded to my posts. I am just so excited about the response I received! Wow! Your idea was genius! Thank you so much!! As a new mom blogger I was searching for fellow mom bloggers to connect with. This is such a blessing. Thx again! Well thank you David, I’m flattered! Hey there would you mind stating which blog platform you’re using? I’m looking to start my own blog soon but I’m having a tough time making a decision between BlogEngine/Wordpress/B2evolution and Drupal. The reason I ask is because your layout seems different then most blogs and I’m looking for something completely unique. P.S My apologies for getting off-topic but I had to ask! Of course! Thank you Joseph! What an amazing list! I called my blog Tired Mom Supermom because I am just that…always tired, but always trying to be super mommy to my kids.